It's been a rough few weeks for the folks from Riverdale. They've been run out of town by a horde of zombies led by "Jugdead" and now they're barely surviving in the wilderness as they make their way to Pittsburgh to what they hope is safety. These are not the carefree kids that left Riverdale. They've watched their friends and families die and some of them have seen those same loved ones return to life, hungry for flesh. Hell, Archie has a beard...sort of. 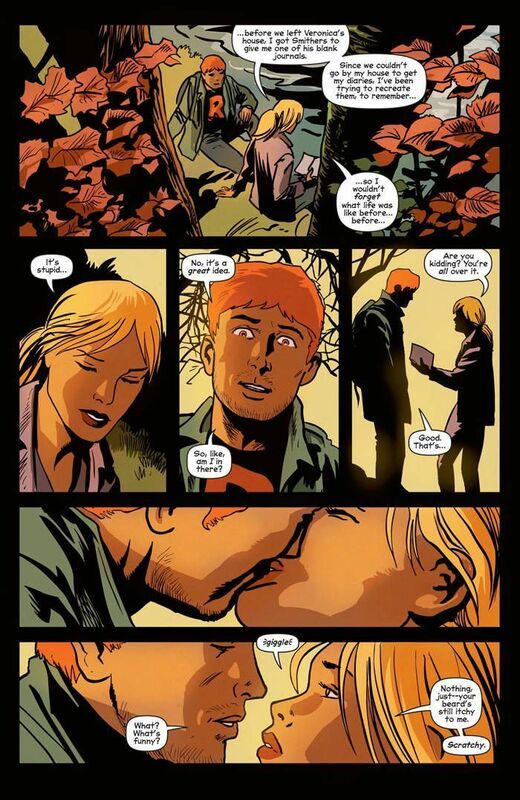 Along the way, Archie finally made a choice that he couldn't make throughout his decades long existence. SPOILER ALERT: He chose Betty over Veronica. Of course, they're keeping this a secret from the rest of the group, especially Veronica, but the two of them have found some semblance of happiness in all this terror. END SPOILER This is expertly shown through Betty's diary as she recounts events from the past and present in an effort to recreate the journals she's been keeping for years but were unfortunately lost in Riverdale. In some ways this is better than an internal monologue because we're only seeing the pieces of the narrative that Betty deems important enough to write down. It's a very personal look at the character. I read this cautiously because this story arc is called "Betty R.I.P." 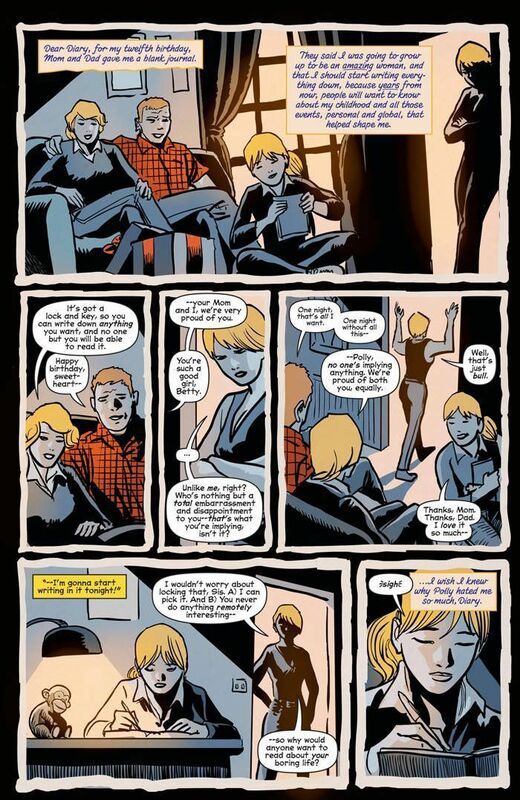 Writer Roberto Aguirre-Sacasa nails the relationship between Betty and Veronica. It's handled with care, showing how they're friends but can border on enemies. Obviously we only really get Betty's perspective this time around, but you can see how Veronica would be so jealous and paranoid about the sheer possibility that Archie wouldn't pick her. She lashes out and that mean streak appears. The awesome line from Betty has been all over the Internet already, but it bears repeating here. "Veronica Lodge, you need to check your privilege." 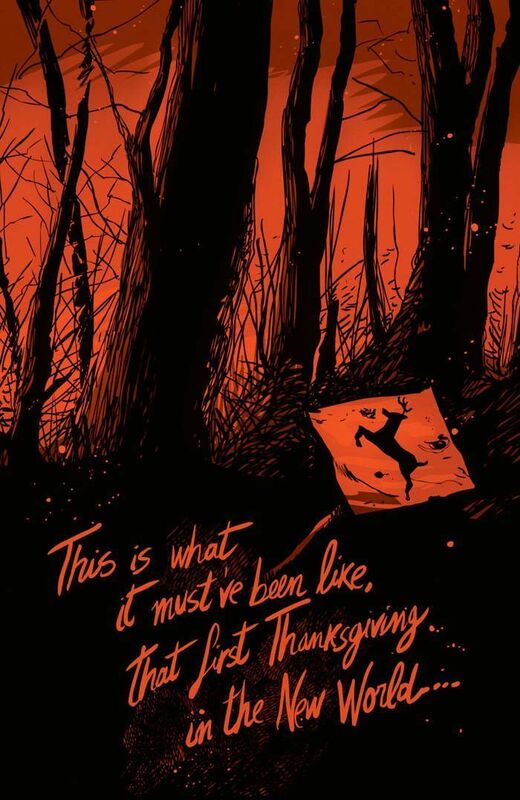 The one odd part of this issue of Afterlife with Archie is the fact that the group stops to "celebrate" Thanksgiving. It's like they need this to stay human. If they let a day like that go by without at least acknowledging it, then what's the point of running away? They've given up so much already. 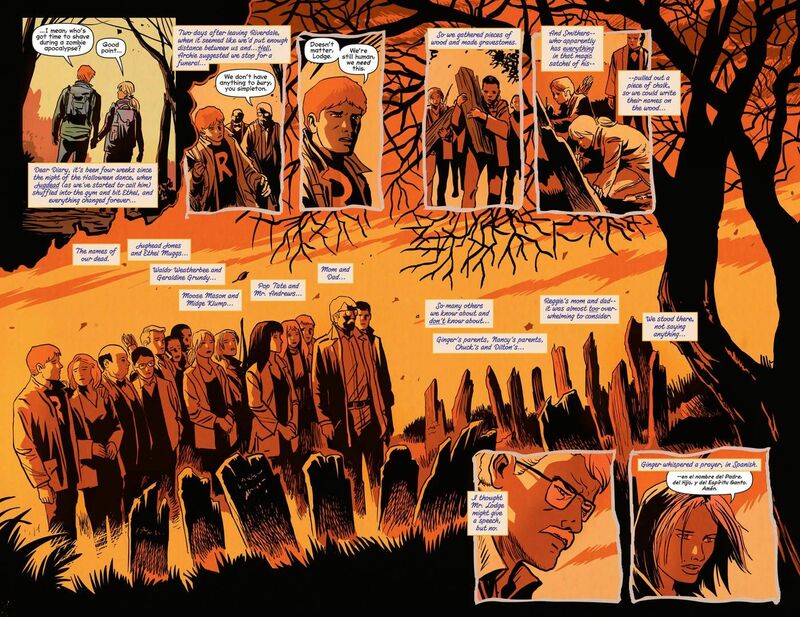 Aguirre-Sacasa also builds on the previous issue where we learned not only what happened to Sabrina, but that this is much more than a zombie comic. There are references to Sabrina and her whereabouts in a very creepy and unnatural way. Francesco Francavilla excels as always with his artwork in this book. I want him to draw all the comics ever. He provides a slightly different style for the flashback scenes that are a little more rough around the edges. This fits perfectly as they're Betty's memories. They lack detail, but as they get closer to the present they become clearer. It's a subtle effect but it does wonders. Archie's aforementioned beard is also a nice touch. Betty makes specific reference to the fact that the guys stopped shaving. That includes Archie, but he can't quite grow a full beard. It looks exactly the way you'd think it would if he tried to grow one, all patchy and scraggly. 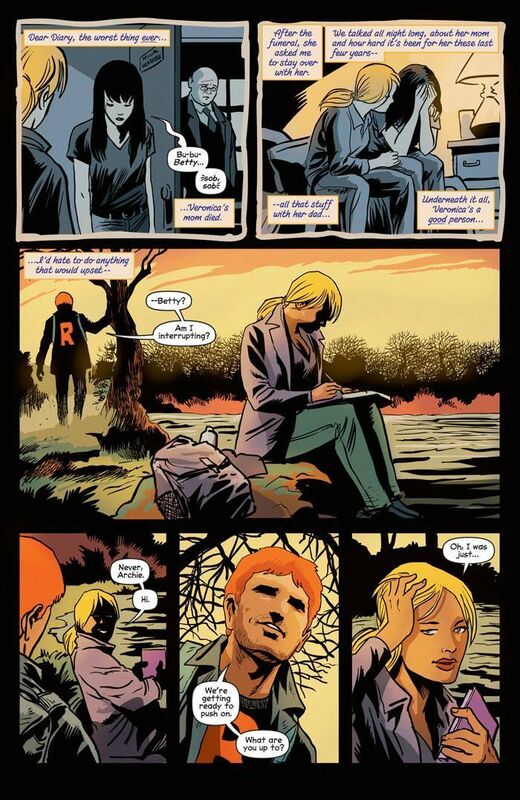 Afterlife with Archie keeps getting better. At first it may have seemed like a basic zombie story set in Riverdale, but it soon became so much more. This is a truly human book dealing with terrifying horror elements. As with many stories of this nature, the real monsters may not be the shuffling dead but the man or woman shivering in the cold next to you.